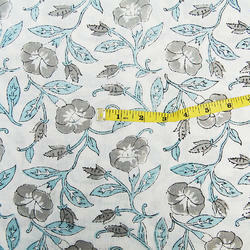 We are one of the prominent Manufacturers, Wholesalers, and Retailer of Baby Quilt, Embroidered CushionAnd Dye Fabrics. These have been manufactured by our efficient team of professionals who have rich knowledge in this domain. 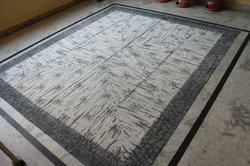 We are Manufacturer, Exporter of Hand Block Print Fabric from Jaipur, India. 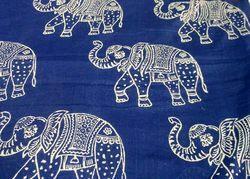 We have a wide range of hand block print fabric. We believe in quality and customer satisfaction level to maintain long term association with our customers. 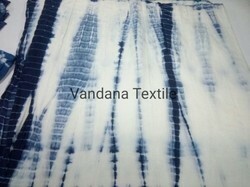 Manufacturer of a wide range of products which include shibori print fabric, shibori tie n dye fabric, indigo tie dye print fabric, shibori tie n die print fabric and tie n die shibori print fabric. Manufacturer of a wide range of products which include printed fabric, dabu hand block print fabric, hand dye cotton fabrics, indigo dabu bagru batick print fabric and indigo printed cotton fabric. 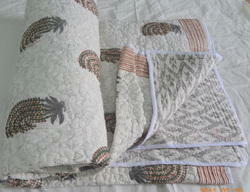 Manufacturer of a wide range of products which include hand stitched kantha quilt, handmade kantha quilt, handmade kantha quilt and indian handmade ikat print kantha quilt. 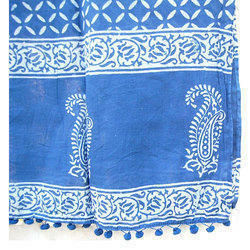 Pioneers in the industry, we offer printed primium jaipuri razai, primium jaipuri razai, hand block printed jaipuri razai, jaipuri cotton razai and hand block printed cotton jaipuri razai from India. 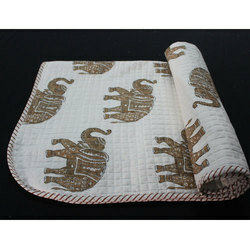 Manufacturer of a wide range of products which include printed baby quilt, dotted print baby quilt, fancy baby quilt, elephant printed baby quilt and horse printed baby quilt. Providing you the best range of jaipuri machine quilts, ikkat printed machine quilts, block printed cotton quilt, jaipuri printed cotton quilt and jaipuri traditional printed machine quilt with effective & timely delivery. 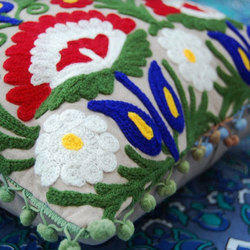 Manufacturer of a wide range of products which include suznai embroidered cotton cushion, sofa cushion cover, embroidery cushion cover, designer embroidery cushion cover and grey embroidery cushion covert. Prominent & Leading Manufacturer from Jaipur, we offer embroidered cushion, floral embroidered cushion cover, designer embroidered cushion, modern embroidered cushion and suzani round embroidered cushion. 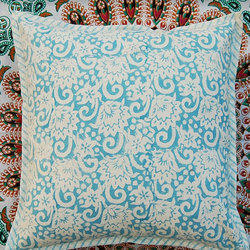 Pioneers in the industry, we offer flower print cushion cover, zigzag printed cushion cover, block printed cushion cover, cotton canvas cushion cover and canvas block printed cushion cover from India. 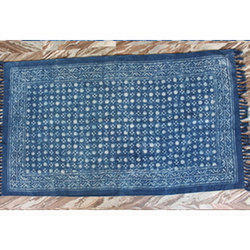 Prominent & Leading Manufacturer from Jaipur, we offer vintage kantha bed cover, kantha indigo printed bed cover, handmade kantha bed cover, cotton kantha bed cover and kantha bed cover. 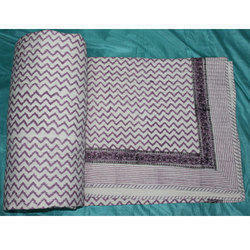 Providing you the best range of ladies printed stole, block printed ladies. 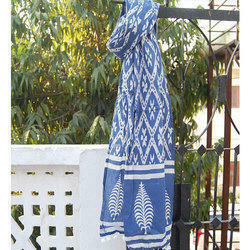 stole, block printed stole and dots prints stole with effective & timely delivery. 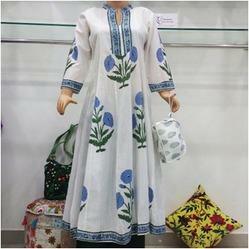 Providing you the best range of designer kurtis, printed kurtis and hand block printed long kurties with effective & timely delivery. 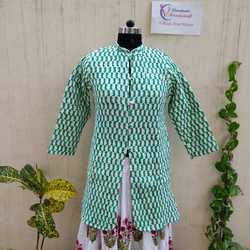 Providing you the best range of cotton kurti, hand block printed kurti and hand block print kurtis with effective & timely delivery. Providing you the best range of hand block printed sarong, ladies printed scarf, dye printed beach sarong, navy blue tie dye scarf and zigzag printed scarf with effective & timely delivery. 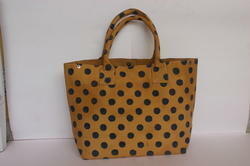 We are a leading Manufacturer of canvas designer bag from Jaipur, India. 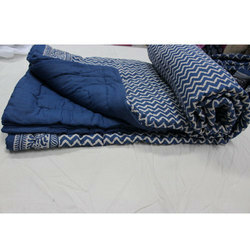 Leading Manufacturer of king size bedsheets, batik print bed sheet, block printed bed sheet, block printed tie n die bad sheets and indian shibori print bed sheet set from Jaipur. Offering you a complete choice of products which include hand block print floor carpet darri, printed floor carpet and designer print carpet. 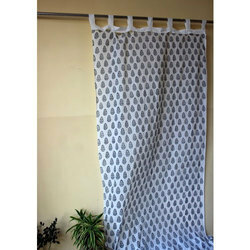 Providing you the best range of printed curtain, hand block print cotton flower curtain, hand block printed fancy curtain, mugal buta printed indian curtain and hand block printed curtain with effective & timely delivery. 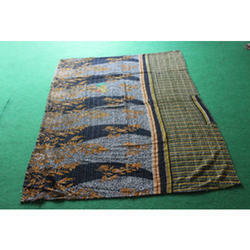 Providing you the best range of cotton table mat, hand block print dining table mat set, printed dining table mat set, floral print dining table mat set and elephant printed dining table mat set with effective & timely delivery. 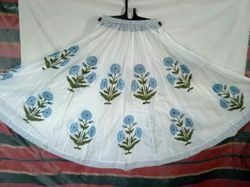 Pioneers in the industry, we offer ladies hand block printed skirt and stole, block printed 40 kali skirts, designer long skrits, ladies long skirts and women long skirts from India. 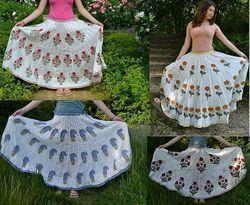 Our product range includes a wide range of designer block print skirt, ladies cotton long skirts and traditional block printed cotton skirt. 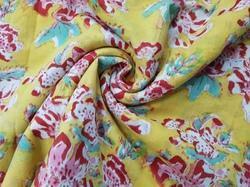 Pioneers in the industry, we offer printed cotton fabric and jaipuri printed cotton fabric from India. 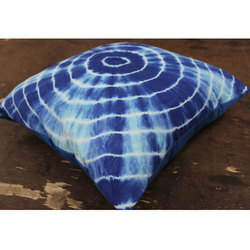 We are a leading Manufacturer of round dye n dye print cushion covers, shibori tie n dye cushion cover, cotton dye cushion cover and sibori cushion cover from Jaipur, India. 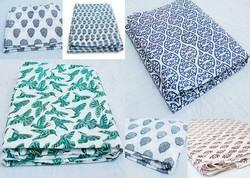 Our product range includes a wide range of batik hand block prints bed sheet, batik print bed sheet, shibori print bed sheet set, tie n die bedsheets and her his side bedsheets. We are a leading Manufacturer of anarkali block printed kurties, anarkali kurties, block printed kurties, block printed long kurti and anarkali dresses from Jaipur, India. 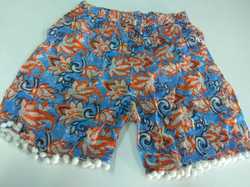 Pioneers in the industry, we offer ladies shorts, girls shorts, childs shorts and baby shorts from India. 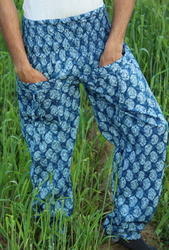 Manufacturer of a wide range of products which include printed plazzo trousers. 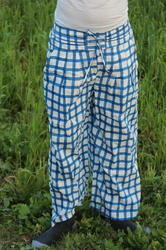 Providing you the best range of ladies palazzo with effective & timely delivery. 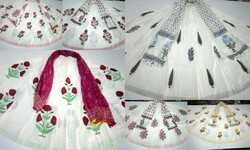 Providing you the best range of hand block printed long skirts with effective & timely delivery. 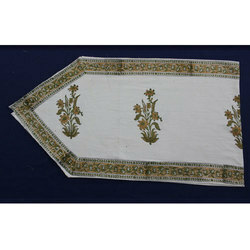 Manufacturer of a wide range of products which include ladies designer printed stole. Our product range includes a wide range of block printed running fabric, traditional buta prints fabric and mughal buta block printed fabric. 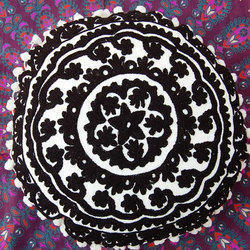 Our range of products include ladies jackets & long coat and quilted jackets in block printed fabric. 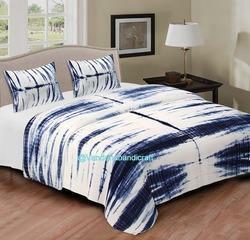 Our product range includes a wide range of tie dye print double bed sheet.